Pictured above is one head of a the steam drum from Boiler #2. Each end of the Steam Drum is closed with a dished head. 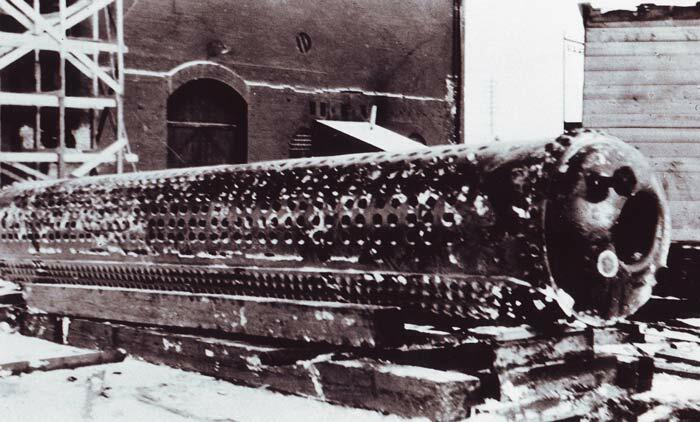 This was the last boiler that was made using riveted construction. The next drums used welded seams. The man-way door provided access to the inside of the drum. This was useful during construction, for rolling in tubes, and during maintenance, cleaning and repairs. Tensile strength: 55,000 lb/sq. in. The Steam Drum was located at the top of the boiler, about 40 feet off the floor. 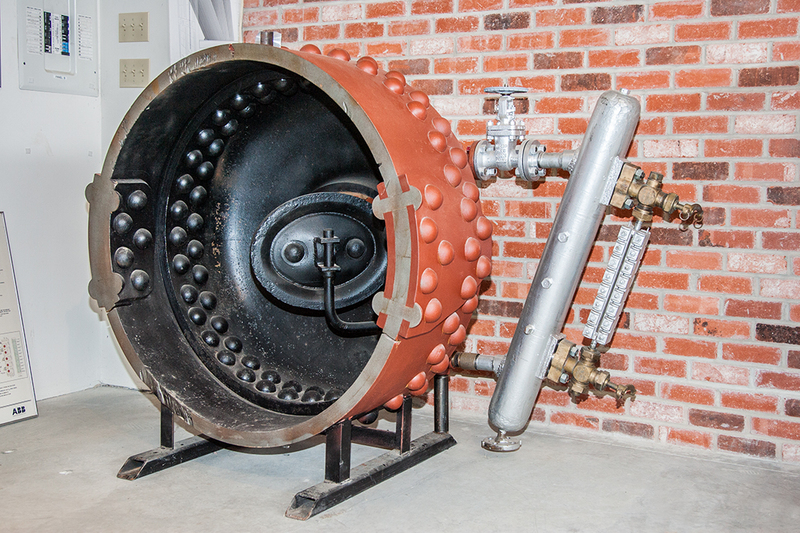 Pictured above is a steam drum from the first of seven Sterling boilers installed at the Rossdale Power Plant. These boilers operated at 400 psi.